Find the freedom in natural nutrition. Eukanuba Pure dog food is formulated free of corn, wheat, soy and meat by-products and uses real chicken as the #1 ingredient. Natural FOS promotes healthy digestion and strong defenses and a clinically proven optimal fatty acid ratio promotes skin and coat health. 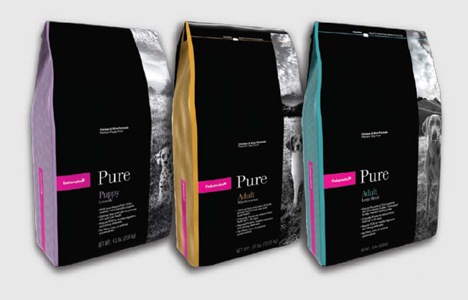 Our Pure dry dog food is also free of artificial colors, artificial flavors or artificial preservatives.